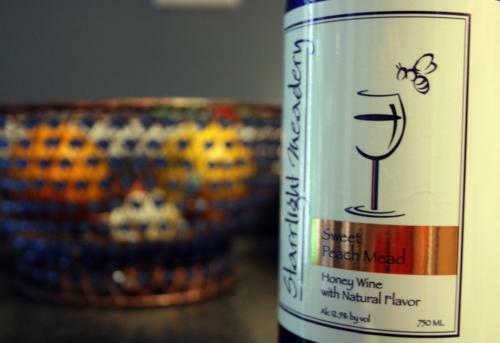 The color of this mead is gorgeous—no, it’s not peach, but more of a gold with a pink hue to it. I could stare at it for hours. Okay, that’s a lie; I could never refrain from drinking a poured glass for that long. It smells first of honey and then of peaches, and the honey comes back for an aftertaste I’m growing familiar with from these wines. Sweetness dominates the glass, but the peach wades through and surprises you after a few seconds. It’s not complex, just a simple, lovely dessert wine that works wonders on a hot Sunday afternoon. I think I’m still the only blogger fascinated with this Pittsboro-based winery. That won’t last for long as they get more and more well known.